Do your kids & animals track dirt in the house when they’re playing in the yard? Are you sick of paying someone to mow your lawn? Do drainage problems make your yard unusable at times? 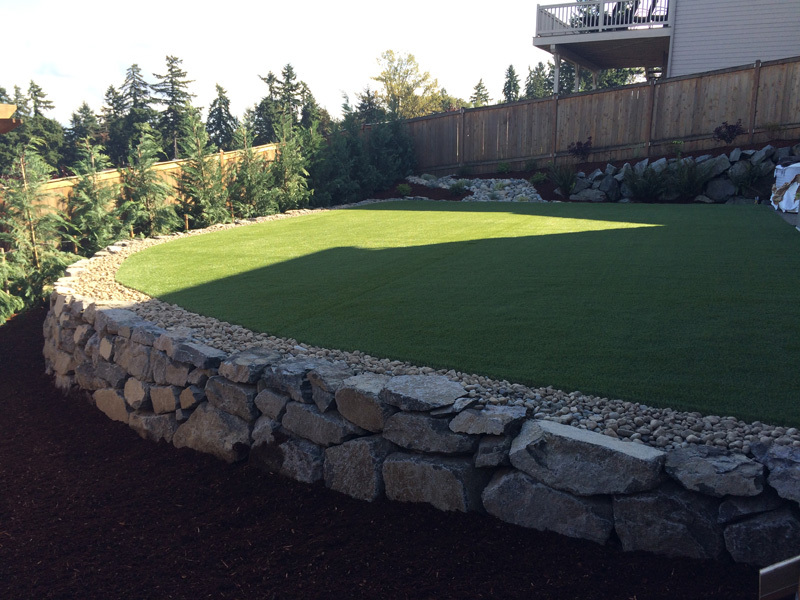 Is your water bill ridiculous because you want to have green grass? If you have any of these problems, we have a solution for you - artificial grass! This customer contacted us because they had all of these problems. We did a full back yard remodel. 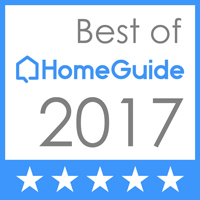 We started out by doing a full yard cleanup that consisted of removal of all plants in the back yard, weeding the flowerbeds, & installing new plantings. 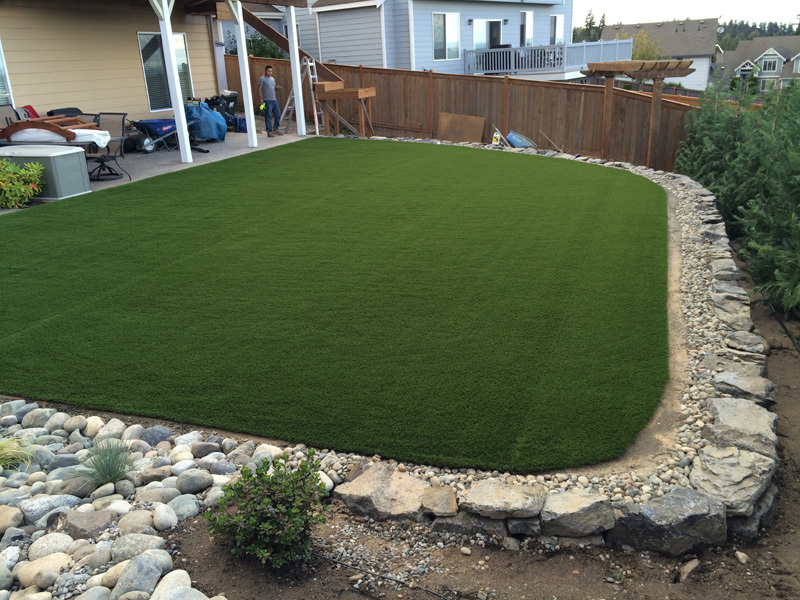 After that was complete, the customer had us install synthetic turf in the back yard. We excavated the lawn area removing grass & soil. Completed any necessary drainage work, grade and compacted the ground for the project. 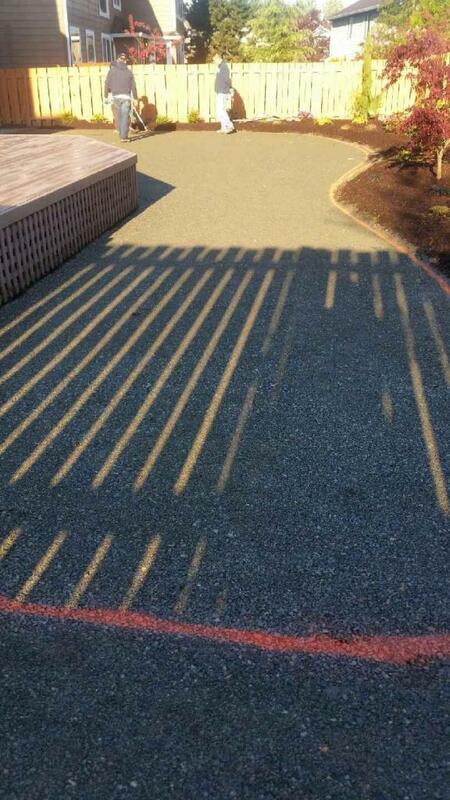 Landscape fabric was installed to prevent weed growth. 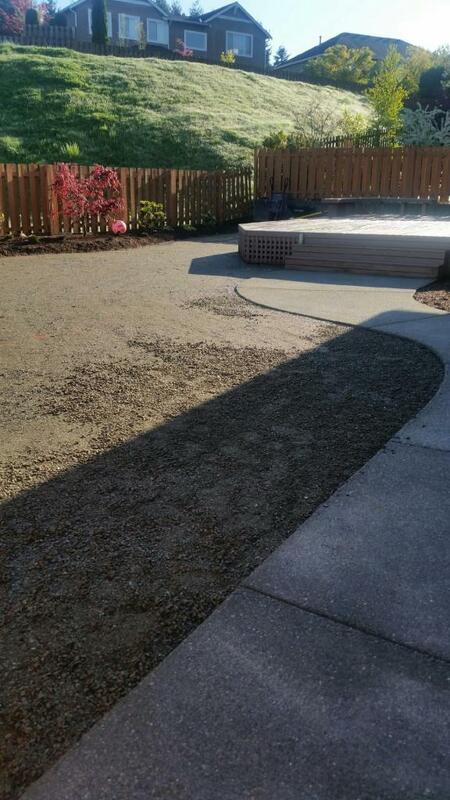 Aggregate base is applied and leveled for the lawn surface. 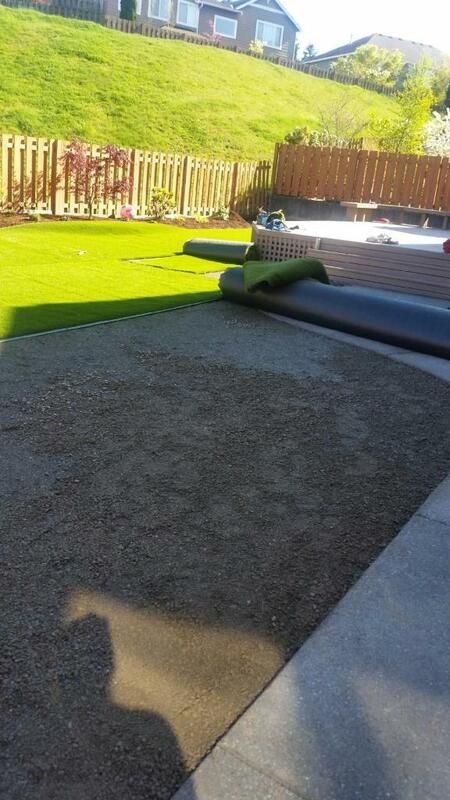 Then the border & final preparation for the artificial grass was done. Then came the turf layout. 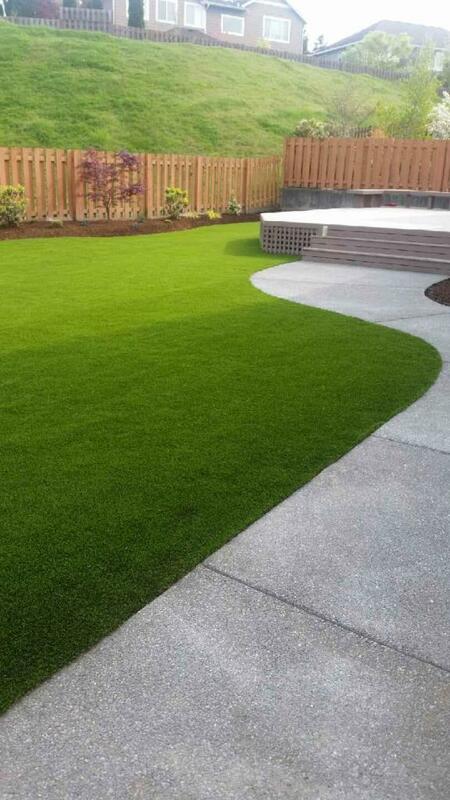 The turf is seamed, anchored, infilled, & fibrillated to give the lawn a natural look. Finally, dress, clean up & do our final inspection of the overall project. 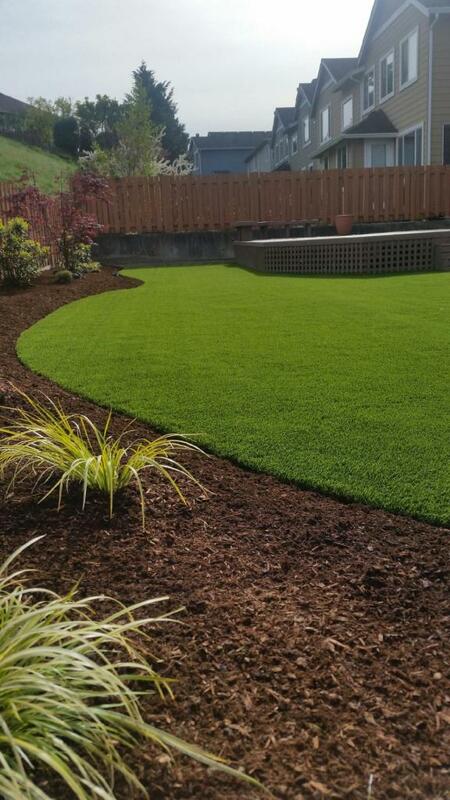 Our customer is happy with the work & thrilled that we were able to eliminate the yard problems by installing artificial grass. 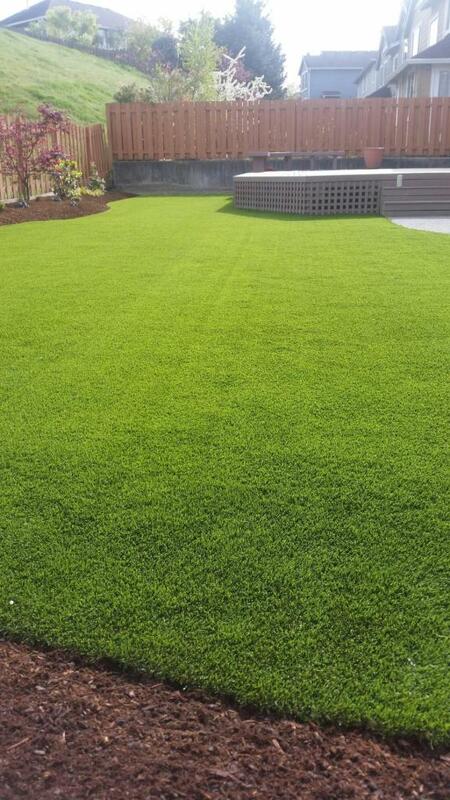 Synthetic turf is virtually maintenance free & will last for 20 years!